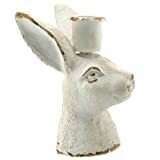 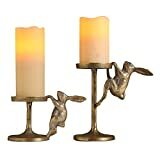 Complete your springtime table top decor with these fun Bunny Candle Holders. 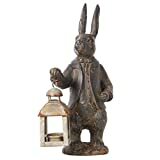 Made from aluminum with an antique finish, choose from a range of bunnies that hoist your candles with admirable strength, playful whimsy, or serious presentation. 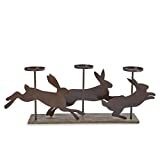 Depending on the bunny you select, the candle holder platform will accommodate votives or candles up to 4 inches in diameter. 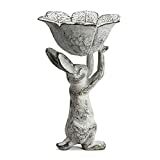 Of course, the more bunnies you adorn your table with, the more your decor will imitate life - though you could start with two and see if they multiply.